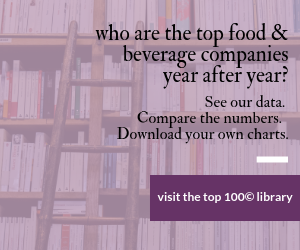 The Food Marketing Institute (FMI) this summer launched a subscription-based online community for emerging food and beverage brands that offers education, mentoring, nurturing and access to sources of capital. The benefit to grocers – FMI’s main constituency – is “our retail members can become better equipped to meet increased consumer demand for products focused on a variety of attributes such as local sourcing, health and wellness, artisanal and global cuisine,” said FMI’s president/CEO Leslie Sarasin. The association noted its research indicates a continued move toward organic and local and items that focus on managing health and wellness. Julie Pryor, FMI’s director of emerging brands, will be the program’s director. To find out more about FMI Emerge, see www.moreshelfspace.org.